When I was cleaning my basement I found one puzzle that my father gave me when I was a child. I really want to know the name of it! Could someone help me? 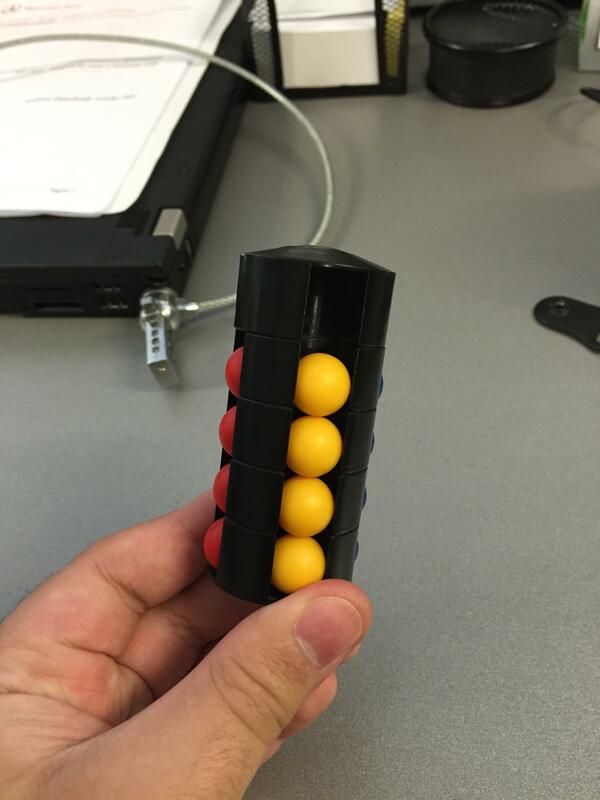 The puzzle consist in 4 disks, and each disk have 4 balls. 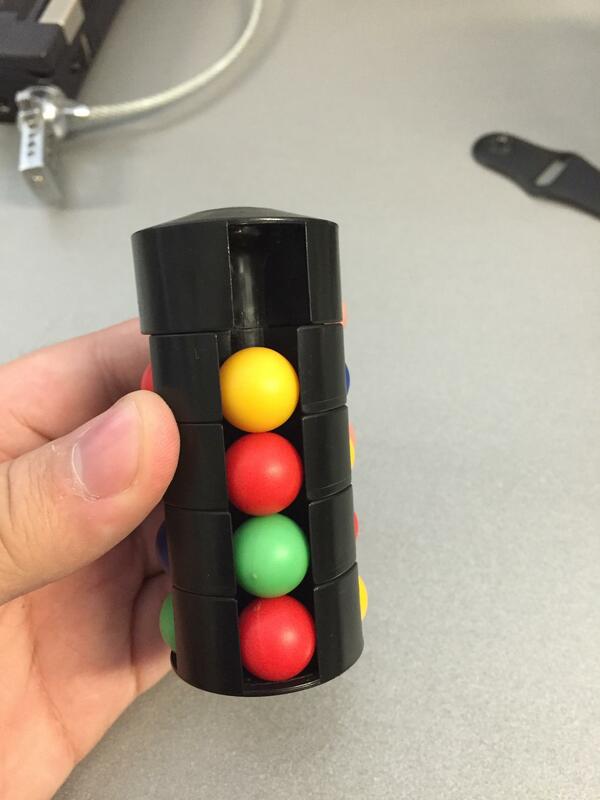 To beat the puzzle you have to put balls with the same color in the same column. It seems to be called "Tower of Babel" or "Babylon Tower". Some sites refer to it as a "Hungarian Tower of Babel", others as "Ivory Tower". The puzzle was designed by Endre Pap and patented on 2 December 1982. Not the answer you're looking for? Browse other questions tagged logical-deduction puzzle-identification twisty-puzzles or ask your own question.